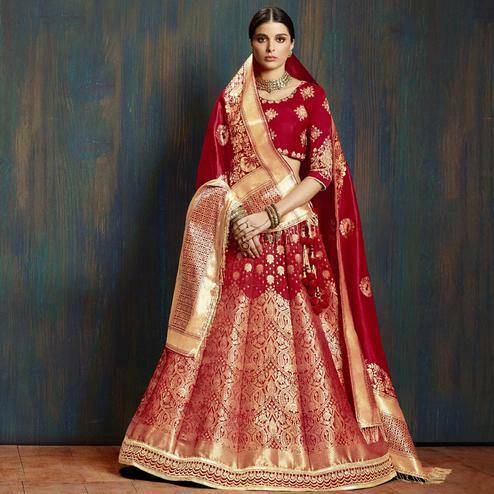 Look Stunning and striking in this maroon-beige colored lehenga choli with dupatta. 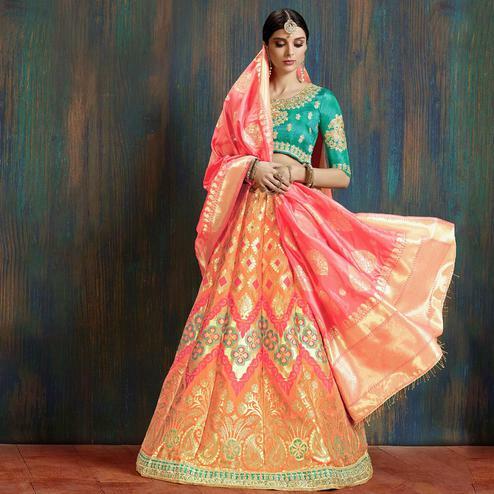 This lehenga is made of jacquard silk, raw silk fabric blouse. 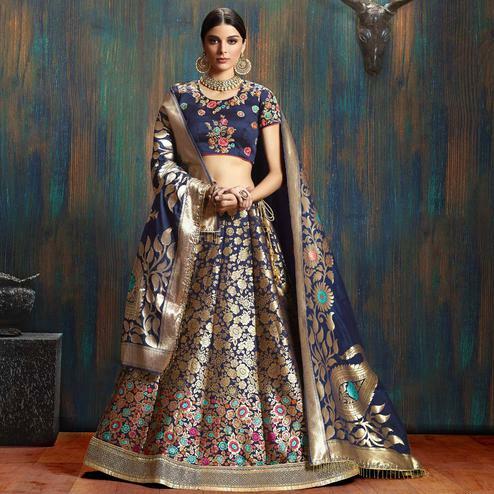 This semi stitched outfit showcases floral embroidery which has been made rich with golden floral embroidered work on top, cold shoulder style sleeves and round neck, which is sure provide the wearer an elegant look. The outfit also comprises chiffon dupatta worked with lace border and golden color. It's a perfect dress to pick for your cousin's engagement functions or friends wedding reception.